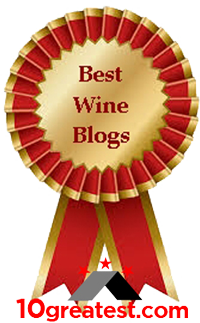 …as part of a wine and food professional group, assembled by Michael (Mick) Yurch of the Bluest Sky Group. Day 2 – After settling into the Golden Tulip Hotel in Rome at the airport, and now needing some real food [versus airline], I was greeted by Marco in the hotel’s restaurant. Their cucina is outstanding. I ordered just enough to satisfy my curiosity and hunger. 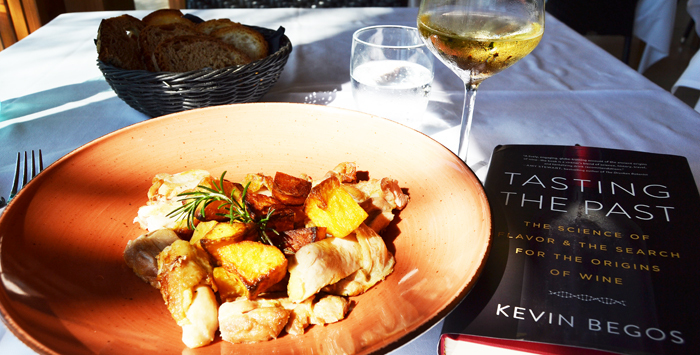 Because Mick wasn’t there yet, I was continuing to read my Tasting The Past book, by Kevin Begos. It was sent to me for review by Algonquin Books of Chapel Hill in New York. I had skipped ahead to Part 2, Chapter 11. “Italy, Leonardo, and Natural Wine.” It couldn’t have been more timely. And, it couldn’t have been more helpful. This book I’ll be reviewing in more depth shortly. Meanwhile, if you would like to get down to some really ancient history of winemaking, like 8,000 years ago, anyone who loves history and wine – you’ve just got to get this book into your library. No library is complete without Tasting The Past, seriously. 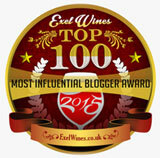 Great job, Kevin Begos! One of the best books I’ve read on the history of wine, ever; and I have a pretty impressive library for my 26 years of reading, writing, and educating about wine… Tasting The Past: The Science of Flavor & The Search For The Origins of Wine is so complete and told in such a charming, easy to enjoy manner, you won’t be able to put the book down, until you tuck it onto your “history” section of your wine book library. I was about to begin an eight-day adventure with experiences to last a lifetime. Boston’s celebrated wine writer Dr. Michael Apstein was also part of this merry band of visitors. 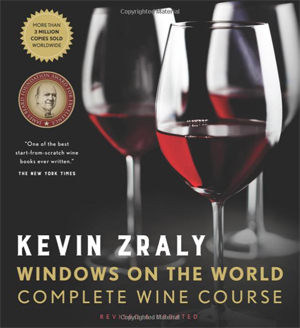 From Kevin’s Website: In 2018 Kevin Zraly begins his 42nd year of teaching the Advanced & Master Wine Classes. 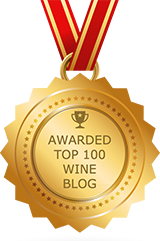 With over 20,000 graduates, Kevin Zraly’s Wine School was named “The Best Wine School” in New York City by New York Magazine. 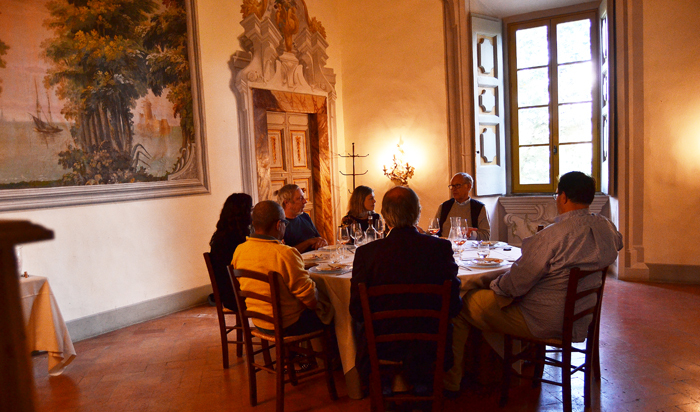 All were joining us at our private dinner in a this large [pictured] dining room at the castle. 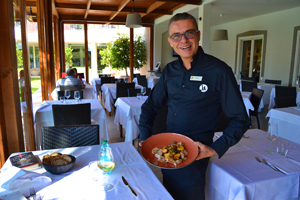 Day 2 – off to Castello di Meleto in Gaiole, Chianti, in the region of Tuscan. I had the honor to stay at this Castello, so I could learn all about it, and then tell my own story. Such an amazing experience. The YouTube video below brings goose bumps, memories, and insights for me, and perhaps for you, as I recreate my own still photography, too. 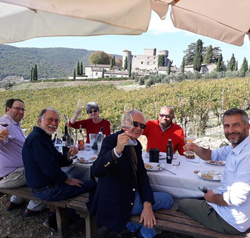 There will be many more stores about Castello di Meleto wines… I was there to learn about the wines they’re growing and making, but it’s impossible not to first talk about their history, culture, and terroir. In this video, I was a guest on the second floor; and, in this video I not only see my bedroom window, but I also – and so are you – able to see all that spread before me. What a view, what a lovely experience, and what fabulous wines from this terroir. As for the history of Castello di Meleto, it was built in 1200s for Benedictine Monks. I slept where they slept, I looked out of the portals where guns were placed to fight off the invasion of crusaders from Siena, wanting to overtake the castle, I meditated in their tiny chapel, finding peace and enlightenment. 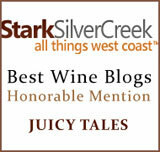 Really, it was an opportunity of a lifetime to tell amazing stories, with plenty of wine to bless each moment.